Welcome my brothers I am so excited for the upcoming 37th International Conclave in Charlotte, North Carolina. It’s planned to be an impactful event full of workshops, training and fellowship opportunities for Brothers and our guest. Our goal is to reach every brother, to have him attend and participate and you can assist us in doing so, by informing your line and chapter brothers. By spreading the word of this conclave and where or how to register. Now is the time for all of us to help take Iota Phi Theta to new heights and achieve more goals while we are in the Queen City. Come and re-energize yourself through old and new connections and answer to the call of OW! OW! I invite you to register and attend this 37th International conclave and I look forward to seeing you there. Welcome to the registration site for the 37th International Conclave, being held July 22nd – 27th, 2019 in the Queen City, Charlotte, North Carolina. We are excited about what is in store for you, your family and friends as we embark upon another conference full of business, fellowship and the rekindling of our purpose as an organization and individuals alike. As time changes so to must our organization, not merely to keep up with the times but to adapt to new process, requirements and opportunities afforded to us. The conclave committee who you should thank for the marvelous job they have done in planning out all the details for this years’ experience, have been at it for over a year preparing for you. We are expecting a tremendous turn out and hope you plan to be a part of the experience and that you bring as many of your chapter members as possible to help make the 37th International conclave an unforgettable experience for everyone. Please know as you begin to make your plans that you have a support system in place to address any questions or concerns you may have to help you make the best decision possible for you and yours as you plan to participate in the conclave. Again, allow me to say welcome and thank you for your attendance and participation. To all the Brothers of Iota Phi Theta Fraternity Incorporated; On behalf of the Region Leadership, all Alumni, and Undergraduate chapters within this Region, it is my honor to say welcome to The Mighty Eastern Region as we work alongside the Conclave Committees to host the 37th International Conclave for our unique Fraternity. The Eastern Region is made up of the state of Delaware, Maryland, Virginia, North Carolina, District of Columbia, and the Republic of Korea. The 37th International Conclave in 2019 will be hosted in the Greater Charlotte, North Carolina Area, which is a magnificent location for our international Conclave. The Eastern Region takes pride in being the benchmark of the Fraternity, and I hope that your perception while attending the 37th International Conclave will be impacted in ways that you will see why we pride ourselves as the benchmark Region of Iota Phi Theta Fraternity, Incorporated. Our National Conclave is a celebration of Brotherhood and Fellowship as we use this time to recognize and acknowledge all our achievements as Iota men within the Fraternity and our local communities. Time after time, we set aside this week long fellowship with our Brothers and it is an honor to have it in the Eastern Region in 2019. It is the Region’s mission to make sure that everyone attending this Conclave get to experience the warm, sincere hospitality that the Region is known for. We look forward to roll out the “Brown & Gold” carpet while giving out that I-Phi love & experience that we’ve come to love to everyone attending the Conclave. The Eastern Region hope to provide a safe, vibrant, and exciting atmosphere for our Conclave and again, it is an honor and Privilege for me to serve as the Eastern Region Polaris during this Conclave week. As we look to our stars to guide us we shall remain humble, focused and sincere in all that we do in and outside of Iota Phi Theta Fraternity, Incorporated. We Are the Eastern Region! On behalf of the Brotherhood in the Great State of North Carolina, I’d like to personally welcome each of you to the 37th International Conclave of Iota Phi Theta Phi Theta Fraternity, Incorporated; which will convene July 21 – 27, 2019 in my city, the Queen City of Charlotte, North Carolina. We are both proud and excited that our International Grand Polaris, along with our Executive Director and the Grand Council have chosen to host this historic Conclave in our state. It is an exciting time for Iota Phi Theta Fraternity, Inc. as we continue to grow and propel the fraternity to the next level. Our organization is confronting a time of many changes and we’re meeting these changes during a time of larger nation-wide and global change. I’d like to give you an idea of what you can expect during the Conclave. Yes! There will Business Meetings, and training seminars that will equip brothers with the knowledge and resources necessary to be successful in their respective local chapters, along with plenty of opportunities for brothers to fellowship, network, and enjoy the city of Charlotte. We have worked hard to ensure that there is something for everyone to enjoy, from the Honorable Founders, to our Life Members, to the Alumni Brothers down to the Neophytes that have just crossed. A few events that I’d like to highlight are our Welcome Reception, Cigar Social, Charlotte Knights Baseball Game & Social outing, our new Awards Gala, and our Iota Amusement Day at Carowinds theme park, along with many others. Before I close, I’d like to encourage each brother to attend this Conclave as it is shaping up to be one of the best and most exciting. Also, I would encourage brothers that are attending to take advantage of this opportunity to extend your Iota Network; get to know new brothers and form new memories and lifelong bonds. To my fellow Alumni Brothers – You, as organization leaders, have the vision, the knowledge, the wherewithal and the experience to help us pave our way into the future. To my Undergraduate Brothers – You are truly our greatest asset today and tomorrow, and we could not accomplish what we do without your support. To the general brotherhood- throughout this conference, I ask you to stay engaged, keep us proactive and help us shape the future of Iota Phi Theta Fraternity, Inc. My personal respect and thanks go out to all of you, and again welcome to our beautiful city. Ow Ow. Life Members who register for the 37th International Conclave with full payment and register to stay in the conclave host hotel (minimum three day stay) by February 15, 2019, will be awarded their 2020 and 2021 sustaining life membership fee. One undergraduate chapter and one alumni chapter will be awarded $1,000.00. To qualify be the undergraduate chapter or graduate chapter to register the most brothers for conclave. Your chapter must register a minimum of five (5) members with full registrations to qualify. Additionally, each chapter must be nationally financial by June 1, 2019 in order to qualify. You will be notified in writing of having met all requirements after the conclave has completed. Please note you must register and stay in the host hotel to qualify. Welcome to the Queen City, Charlotte, North Carolina and to the host hotel of our 37th International Conclave, July 21-28, 2019, for Iota Phi Theta Fraternity, Inc. Hilton Charlotte Center City Hotel is located at 222 East Third Street, Charlotte, NC 28202 (phone: 1-704-377-1500). Hilton Charlotte Center City Hotel is located in the heart of Uptown Charlotte and is in walking distance of restaurants, entertainment, culture, and sports venues. Additionally, Hilton Charlotte Center City Hotel is across from the LYNX light rail system, which offers easy access to UNC Charlotte and neighborhoods. To ensure room reservations and associated guest accommodations are in alignment with agreed upon expectations with the conclave host hotel, the Conclave Housing Director, Bro./Dr. 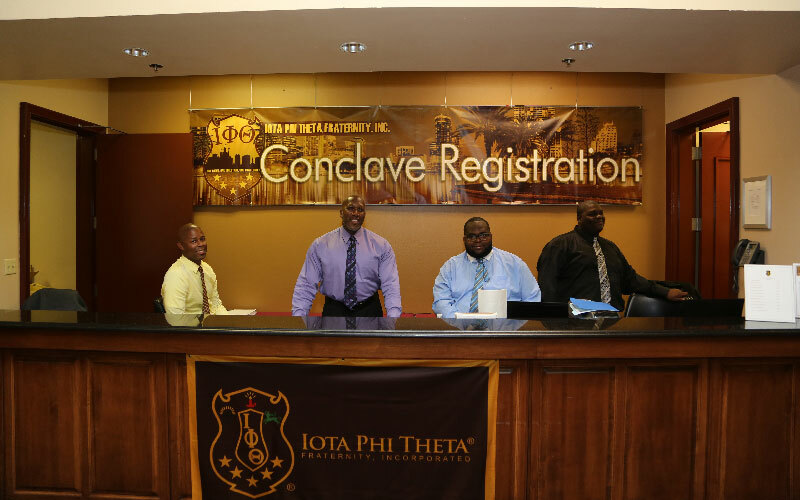 Travis Ballenger (conclaveadmin@iotaphitheta.org), will help facilitate any questions or concerns you may have with your reservation, before and during the week of the conclave. This includes questions on the length of stay, room rate and special accommodations as needed (i.e., confirmation of handicap accessibility or other special needs) or any other special request. Feel free to email your questions or concerns as we are here to help make sure your plans are secured and precisely what you expect. Reservations are now open for you to reserve your room(s). All reservations must be made no later than Wednesday, June 28, 2019. There is a one night room & tax non-refundable deposit due at time of reservation. The negotiated rate below applies to single, double, triple and quad occupancy. Suites are available, however at a different price. Please contact the Conclave Housing Director, directly regarding questions related to hotel suites. By registering in the host hotel you hereby understand that your housing information will be monitored by the conclave committee for the purpose of meeting projections and coordinating reports. Checks, money orders, and major credit cards are acceptable to establish prepayment. All credit cards used to prepay the room deposit will be charged immediately. Hilton Charlotte Center City Hotel is in Uptown Charlotte and is adjacent to the Charlotte Convention Center and close to the NASCAR Hall of Fame, Spectrum Center, Bank of America Stadium (Home of the Carolina Panthers) and Epi Center. Additionally, the Charlotte Douglas International Airport (CLT) is 8 miles away. In the event you will need to cancel your room reservation, the one night room & tax deposit is non-refundable. In the event you will need to check out before your reserved checkout date, an early departure fee of $75 will be charged to your credit card. To avoid this fee, you must advise the hotel at/or before check-in, along with the Conclave Housing Director, Bro/Dr. Travis Ballenger (conclavehousing@iotaphitheta.org). The Grand Executive Board will meet to conduct their bylaw-mandated powers for the growth and development of the Fraternity. The National Iota Foundation (NIF) is a 501 (c) (3) tax-exempt non-profit foundation and is committed to charitable works that educate, cultivate and advocate the programming thrust of the Fraternity and its stakeholders. The Foundation and its directors will utilize this meeting to discuss its programmatic and philanthropic efforts. The Grand Executive Board and the Board of Directors will utilize this meeting to strategize, policies, and opinions for the progression of the Fraternity. The meeting purpose for the Board of Directors is to conduct their bylaw-mandated powers for the advancement of the Fraternity, while welcoming newly elected members to the board of directors. The Grand Council meeting will allow its members to review the administration of governance, and fiscal and fiduciary powers afforded to it by the Fraternity’s bylaws. Just dropped your bags off in your room? Hungry? Feeling like a beverage? Wondering who is in town yet. Stop on by the welcome reception as the attire is come as you are. Start the week off by reconnecting with those you haven’t seen in awhile and look forward to fellowshipping with once again. Come ready to tap your foot or snap your finger and bring the energy to the occasion as we are glad you made it safely and are happy you are in attendance. SALUTE! Create and amend the bylaws. Obtain reports the Grand Council, Board of Directors and the National Iota Foundation. Receive updates on the Fraternity’s philanthropic endeavors. Reprimand, suspend or dissolve chapters. Rise Against Hunger is an international hunger relief organization that distributes food and life-changing aid to the world’s most vulnerable, mobilizing the necessary resources to end hunger by 2030. Iota Phi Theta Fraternity, Inc. cordially invites you to attend the Iota Public Reception for the 37th International Conclave. The Iota Public Reception will provide attendees with the opportunity to fellowship and network with the men of Iota, as we celebrate 55 years of implementing and fostering high-impact programs and initiatives to service the constituents in our communities. Through our National programs and initiatives, we have successfully transformed and improved the lives of our constituents and left a lasting impression on the citizens we serve. Just like our Founders, we will continue upholding our commitment to scholarship, leadership, citizenship, fidelity, and brotherhood in order to provide a lifetime of service to anyone in need. Brief meeting of the Eastern Region members and its leadership. Brief meeting of the Atlantic Coast Region members and its leadership. Brief meeting of the Gulf Coast Region members and its leadership. Brief meeting of the Ohio Valley Region members and its leadership. Brief meeting of the Midwest Region members and its leadership. Brief meeting of the Southern Region members and its leadership. Brief meeting of the Far West Region members and its leadership. You are cordially invited to join us on Wednesday, 23 July 2019 from 6 :00 PM to 9:00 PM at the Charlotte Cigar Club. Located at 105 E. Morehead Street, Charlotte, NC 28202 for fine Cigars, light conversation and some light hors d’oeuvres. We have been extended a 15% discount on all Cigar purchases during the evening. 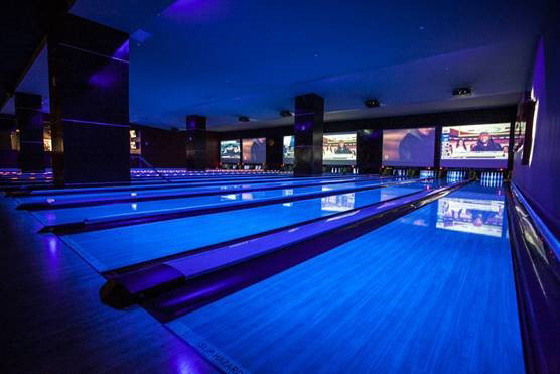 Credit cards are accepted, there is private parking available, Beverages (wine and beer), outdoor seating, TV, Wi-Fi. the Ambience is casual and intimate. Regular hours of operations is Monday thru Thursday 2:00 PM – 10:00 PM. Friday and Saturday 2:00 PM – 11:00 PM. Sunday 12 noon – 6:00 PM. 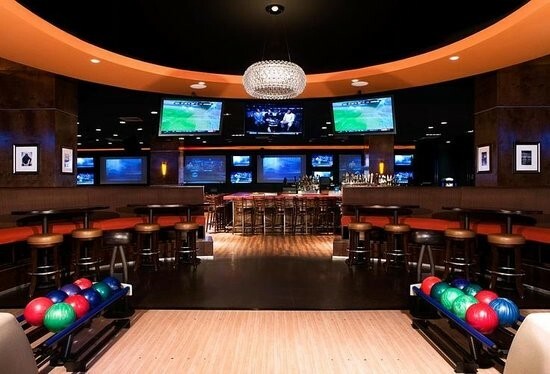 Come join us at Strike City 210 E Trade St, Charlotte, North Carolina 28202 for the Alumni Bruhs, Brews, and Bowling event. We will have our own Private Lanes, food, drinks, and shoe rental all included. Think you got game? Come OWt and prove it! Think your chapter has the best bowling team, let us know if you’re up for a tournament! Biannually the fraternity brings its life members together to rekindle the spirit of brotherhood, welcome new life members and strengthen the bond amongst this elite group of members. This year will be no different as life members, will enjoy an evening of fellowship and fun amongst the stars in a one of a kind location overlooking the Queen City. This is a can’t miss event for our life members only! 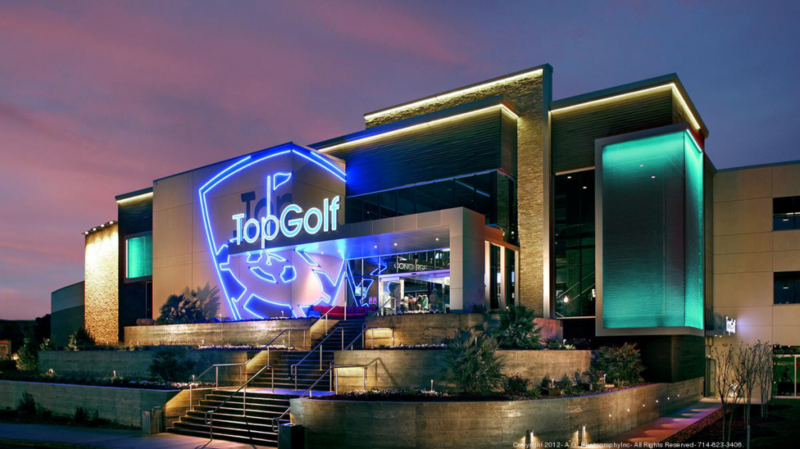 Come join us at Top Golf on Wednesday July 24, 2019 from 7:00 PM – 10:00 PM at 8024 Savoy Corporate Drive, Charlotte, North Carolina 28273. We will have our own private area to include private golf bays, food, drinks, club are included. Think you are a “TOP GOLFER”? Come OWt and prove it! In 2017, the fraternity made the commitment to move forward with the beginning steps to develop a plan, a strategic plan to look at the inside of Iota Phi Theta Fraternity, Inc. and determine the steps required to plan successfully for the fraternity’s existence, in key areas such as membership, programs, finances, marketing, manpower and overall operations in the future to come. Co-Chaired by 16th International Grand Polaris, Jerry O. Pittman and Sterling Hudson, Class of 69 brother and President/CEO of Child First USA, Atlanta, your support is welcome should you have interested in joining the committee or attending the meeting. For inquiries please email execdirector@iotaphitheta.org. On Thursday, July 25, 2019 Iota Phi Theta Fraternity, Inc. will collaborate with the National Iota Foundation to host a program luncheon to provide a special update on the status and direction of the NIF. During the luncheon, we will recognize members and donors for their continued support of the fraternity and the foundation and have a fabulous lunch in an atmosphere of inclusiveness for all attendees. During this time each ceremony will be administered and proper protocol explained. This meeting is for all Regional Polari to include all existing and incoming Regional Polari in addition to Assistant Regional Polari. This is a planning and training meeting, come prepared to discuss fraternal initiatives, regional initiatives and working effectively within the fraternity. The Undergraduate Affairs Committee and invited members will meet to discuss the status of undergraduate chapters and members with the goal to provide input and suggestions on programming and projects specific to the maintenance and development of undergraduate chapters and/or members. Regional Secretary, Regional Treasurer, Regional Intake Coordinator, Regional Website Director, Regional Community Service Director, State Directors and all remaining regional positions. You are required to attend this leadership training. Key fraternal initiatives, processes and fraternal operations will be discussed. Leave the tuxedo at home as this year a business suit is the dress code for the biennial National Awards Banquet being held on Friday, July 26, 2019. The banquet will feature live music, great food and remarks by both our fraternal leadership and sister organization Iota Sweethearts Inc. as both organizations will present deserving awards to its memberships. So dress to impress but save some dollars on not having to rent or buy a tuxedo. Help us recognize our deserving members doing great things in our organizations. On Saturday, July 27, 2019 brothers and guest of Iota will take to the links and participate in a friendly competition of golf while facing the challenging fairways and greens to achieve the dreaded low round of the day and take-home bragging rights for another year. Several courses are currently under discussion so check back to view specific course, but we promise you the challenge will be fun, competitive for all and an all-around great experience. Rise and shine we leave out early as to not take your entire day. Would you like a day to get away from all the hustle and bustle of conclave downtown? Come join us as we visit Carowinds theme park for our Iota and ISI Fun day at Carowinds. Carowinds is a theme park located a few minutes from downtown Charlotte. While there you can, enjoy all the world-class rides and attractions including the all-new Camp Snoopy with 6 new attractions, County Fair, the world’s largest and fastest giga-coaster, Fury 325, and not to mention the Carolina Harbor waterpark! Carowinds has many things to offer for all age ranges. Carowinds is home to two of the tallest steel roller coasters in North America. With a total of 13 roller coasters, it ranks 5th in the world as having the most roller coasters in one park. The waterpark has massive features from giant water slides and wave pools to large play structures and a three-acre kids’ area. There are a wide variety of dining options to choose from. Whether you crave cotton candy, fresh cut French Fries, gluten-free options or you prefer sit-down dining in a relaxed atmosphere. There is something for everyone to enjoy! For individuals with disabilities, A free guide is available at Guest Services for guests with disabilities. This guide is designed to help those with disabilities make the most of their visit and provide information on ride safety. Our event committee is offering transportation for you that you must sign up for or you can choose to travel on your own. Please note parking individually is $20.00 per car. Individual parking will allow you the ability for re-entry into the park. This year conclave registration has continued to evolve keeping our membership in mind as to the challenges each may face in their chapter and personal lives, while allowing for the opportunity to successfully balance the cost of a major event such as this conclave. The conclave will provide the opportunity for members, family members, and guest to not only conduct business but to enjoy Charlotte, North Carolina and all the opportunity the area presents. The registration period has been simplified. No registration will be conducted on site, not even for a la carte events. All registration will end on July 5, 2019. You will also receive complimentary basic high speed internet (in room), (only for those staying in host hotel) and the 2019 commemorative conclave gift, plus a host of registration information. You will also receive complimentary basic high-speed internet (in room), (only for those staying in host hotel), a special life member gift, and the 2019 commemorative conclave gift, plus a host of registration information. Cancellations must be made in writing and forwarded to conclaveregistrar@iotaphitheta.org or via mail to 37th International Conclave, Iota Phi Theta Fraternity, Inc. 1600 N. Calvert Street, Baltimore Md. 21202. Full refunds will be made for requests received by May 1, 2019. After May 1, 2019, cancellations postmarked or faxed through to May 31, 2019, will be accepted, but will be assessed a $150.00 cancellation fee. Cancellations postmarked or faxed after May 31, 2019, are not eligible for a refund. Please note that refunds will be issued no earlier than November 1, 2019 after all finances relating to conclave have been resolved. Telephone cancellations are not accepted. Ow — Ow thank you for taking the time to visit the conclave registration site. I hope you find answers to all of your questions. If not please feel free to click on any members email address and we will be sure to address your questions. Look forward to seeing you in the Queens City. Welcome to the “Queen City” of Charlotte, NC, and our 37th International Conclave. Please allow me to take this opportunity to thank you for scheduling this part of your summer to join us here to conduct the business of Illustrious Organization. I am the Conclave Chief of Staff of our Executive Conclave Committee.Read More. 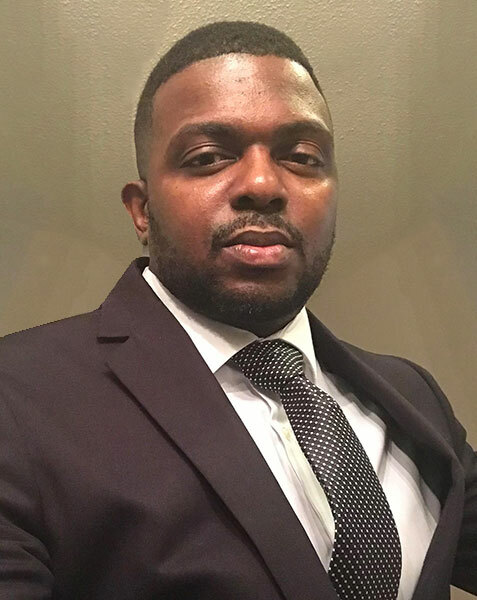 Brother Willie Horne joined the fold of Iota Phi Theta Fraternity Inc. in the spring of 2005, by way of Alpha Chapter, and currently serves as the treasurer of Alpha Omega Alumni Chapter. "I look forward to serving as your treasurer of the 37th conclave and ensuring we have a memorable experience in Charlotte, North Carolina". Ow- Ow! Dr. Christopher D. Greggs is a Spring 2005 initiate of the Clemson University Colony by way of the Alpha Pi Chapter. Dr. Greggs is a charter member of the Alpha Chi Omega Graduate Chapter in Columbia, SC. 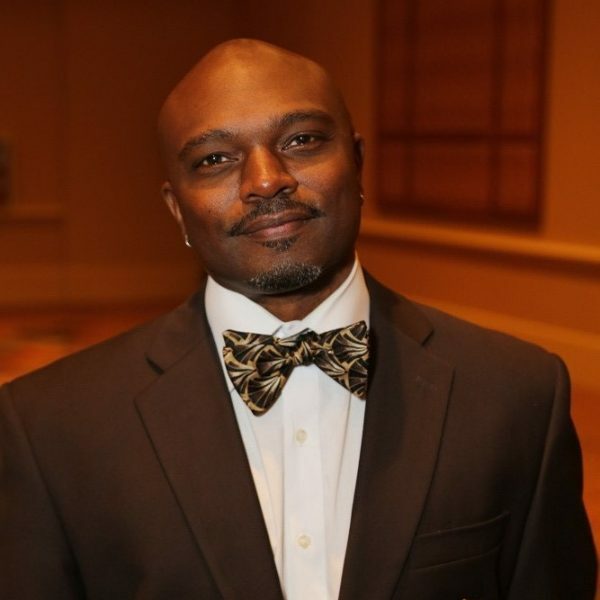 Dr. Greggs serves as the Vice Chairman and Gulf Coast Regional Representative for the National Board of Directors. Dr. Gregg aims to ensure a high-quality experience is provided to all brothers and guests who register and attend the 37th International Conclave. I have the wonderful job of leading a qualified team of men who will aid in the assurance that all meetings and events of our conclave remain orderly, pleasant and to your satisfaction. Our attendee’s safety is always the number one concern, followed by their enjoyment of the conference and with our team of professional Law Enforcement Officers, we believe this year will be another successful conclave. If you have questions or concerns, please contact me at sgtatarms@iotaphitheta.org. Currently serving as State Director of South Carolina, it gives me great pleasure to serve as your 37th International Conclave Registration Director. I joined Iota Phi Theta by way of Zeta Lambda (SP ’06). I look forward to seeing everyone in the Queen City! I became an Iota Sweetheart at Rutgers University, Alpha Psi chapter, spring of 1994. Ever since becoming an Iota Sweetheart, I have been active in participating on the local, regional and national level. It has been a pleasure and honor to serve on the National Conclave Committee for several years. I hope everyone attending the 37th International Conclave will have a fun-filled week, along with handling the business of the organization. Ow-Sweet! 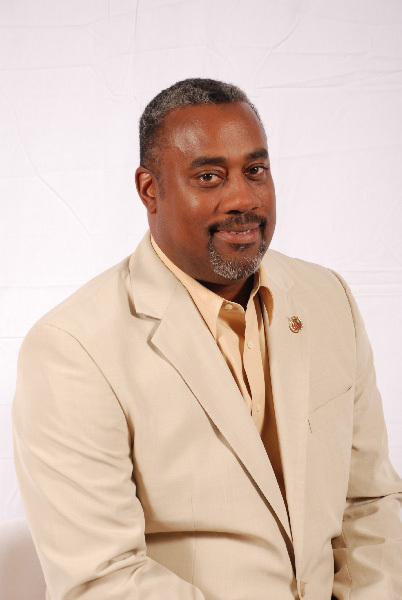 Tim has been a proud member of Iota Phi Theta Fraternity Inc. for 20 years. He was initiated at Norfolk State University (Delta Chapter) April 12, 1998. 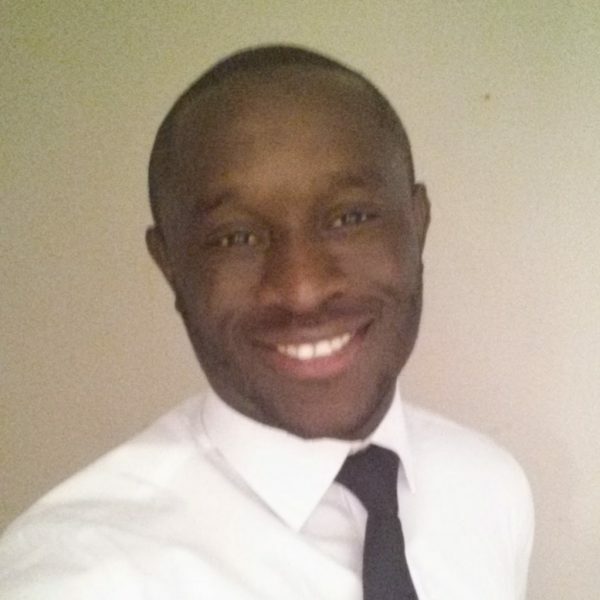 He has had the pleasure of serving as the Assistant State Director (Washington,D.C.) in the Mighty Eastern Region, Chapter Polaris of Beta Omega Alumni Chapter (Washington, D.C.), and Chapter Polaris while in undergrad. During the 37th International Conclave, Tim will serve as Director of Guest Services. Bro. Gibbs Hightower IV, a resident of Houston, TX, is serving on his second conclave committee with the expectation of creating a timeless conclave experience- making Charlotte 2019 one of your most precious memories. It is my pleasure to serve as Director of Service Support for the 37th International Conclave. It is my goal to provide you with a great community service event, as well as bring you vendors that can provide you with fresh new merchandise as you represent Iota Phi Theta Fraternity, Inc. Currently, I serve as the Gulf Coast Region Chaplain, Assistant Polaris for Alpha Chi Omega Chapter (Spring ‘13). Previously, I served as State Director for South Carolina. For any service and vendor related needs, please contact me at h64rice@gmail.com. Brother Wells is a Spring 2004 initiate of the Livingstone College Colony (now Theta Psi chapter.) Brother Wells has worked in several capacities and remained active since joining Iota Phi Theta. He was one of the first Iotas to cross at Livingstone College and worked to charter the Theta Psi chapter. Brother Wells was a charter member of the Gamma Nu Omega Alumni Chapter in Huntersville, NC and served as Vice Polaris at that time. He then served as Polaris of Gamma Nu Omega from 2015 - 2017 until he was appointed NC State Director. It is an honor and privilege to serve on the 37th Executive Conclave Committee. On behalf of the Eastern Region, I extend a warm, enthusiastic welcome to North Carolina and Charlotte the Queen City. I am Bro. Darrell McGill, 2-GNO-Summer18. I am currently the chapter's secretary, and I am excited to experience and play a significant role in my first conclave. Crossed at Eastern Michigan University, Gamma Rho Fall 2004, I currently serve as Polaris of the Gamma Nu Omega chapter in Charlotte, NC. Additionally, I am a Senior Manager at Charlotte Pediatric Clinic. OW- OW! As a Spring 2002 Initiate of the Zeta Chapter, I have served the Fraternity in many capacities. I'm Currently serving as National Director of Training and Development. I'm excited to return to North Carolina where I'm a charter member and First Polaris of GNO Alumni Chapter. It is my goal to ensure brothers receive training that will allow them to strengthen and educate their respective chapters. Iota Phi Theta® Fraternity Inc. © 2018. All rights reserved.